I think I made it to Tuesday last week when I said, “I want to do NOTHING this weekend!” This time of year is exhausting, people. Exhausting in the best and most fun way possible, but exhausting nevertheless. 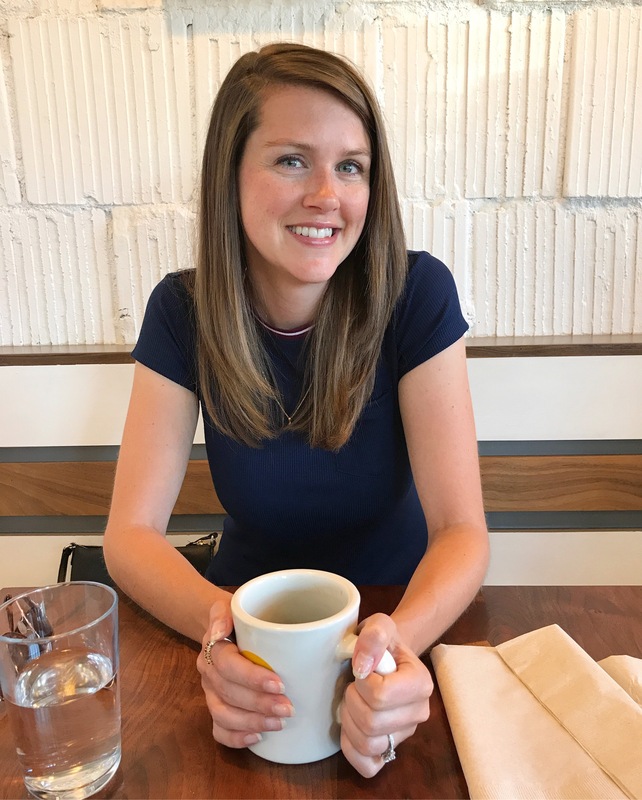 Of course, I realize I am incapable of actually “doing nothing,” so that’s not how the weekend panned out, BUT I did get lots and lots of sleep so I’m calling it an overall success. We didn’t have Friday plans, so I asked Joey on a date to a Mexican restaurant down the street from us. 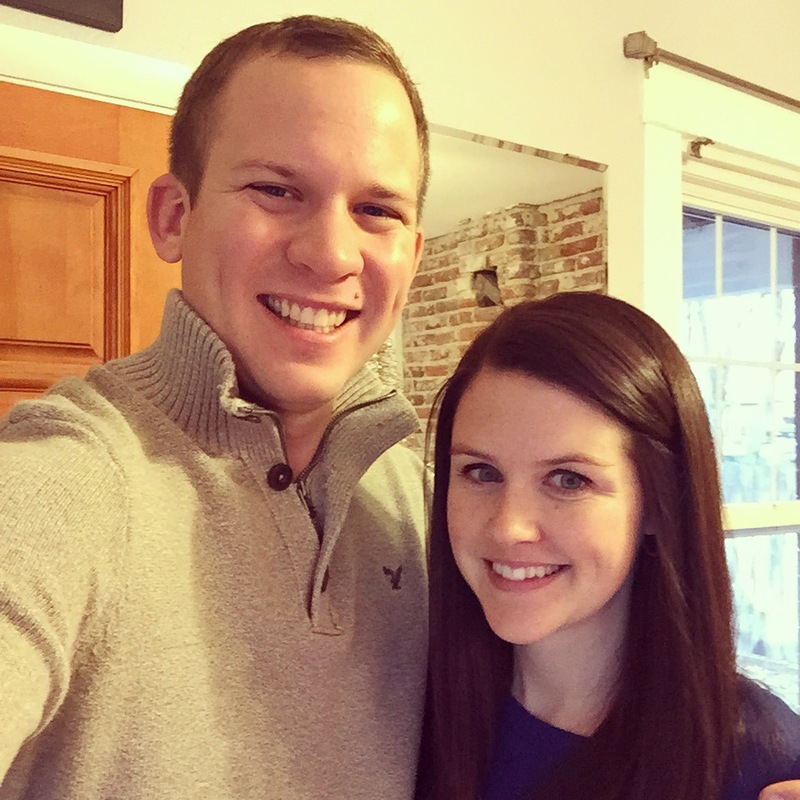 He’s been begging to go for… oh probably a year, so I finally gave in. The margaritas were good (I got one made with St. Germain! ), the chips and salsa were great, the food was okay (not “messy enough” for Joey) and the service was plain weird. Weird, as in our server gave our drinks to the wrong table and just seemed very confused all night. 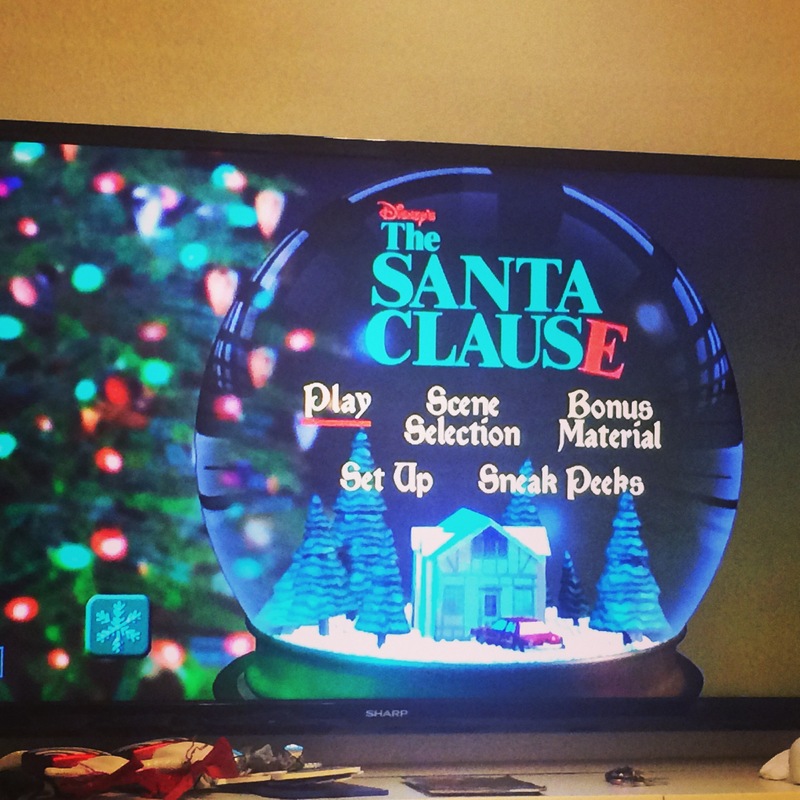 Annual viewing of The Santa Clause afterwards. Not gonna lie, I feel asleep watching it. How does it end?! Saturday involved pancakes (Joey is on a mission to find a “go to” recipe and I’m totally in support because it means lots of pancake eating for me! ), couch lounging, yoga and a Saturday night movie. We also walked over to a friend’s new jewelry/vintage clothing store in the afternoon and it’s official, our neighborhood is hip. We watched Short Term 12 and though it was heavy it was also very good. 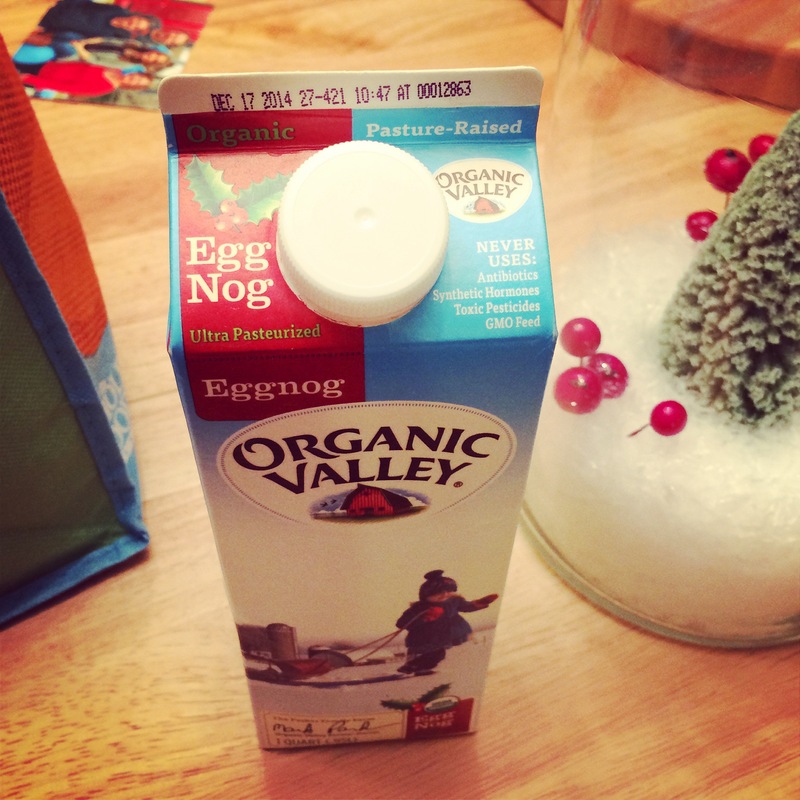 Oh and I bought eggnog because Joey claimed he’d never had the real stuff before. It was only halfway through pouring that I realized we used to cut it with milk when I was younger. Even uncut it still tasted like my childhood. It snowed on Sunday! FINALLY! I mean, I guess I shouldn’t complain about 60 degree days in December, but snow makes everything feel more festive, doesn’t it? Plus drinking tea (or coffee, in Joey’s case) in bed while the snow falls is the epitome of winter time happiness. 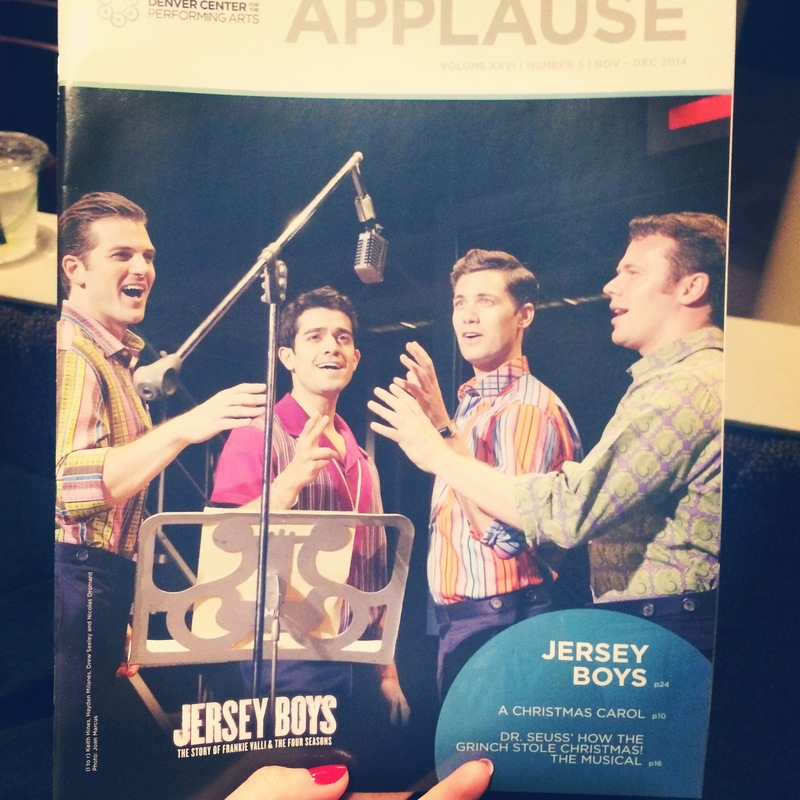 We spent the afternoon at the Buell seeing Jersey Boys! 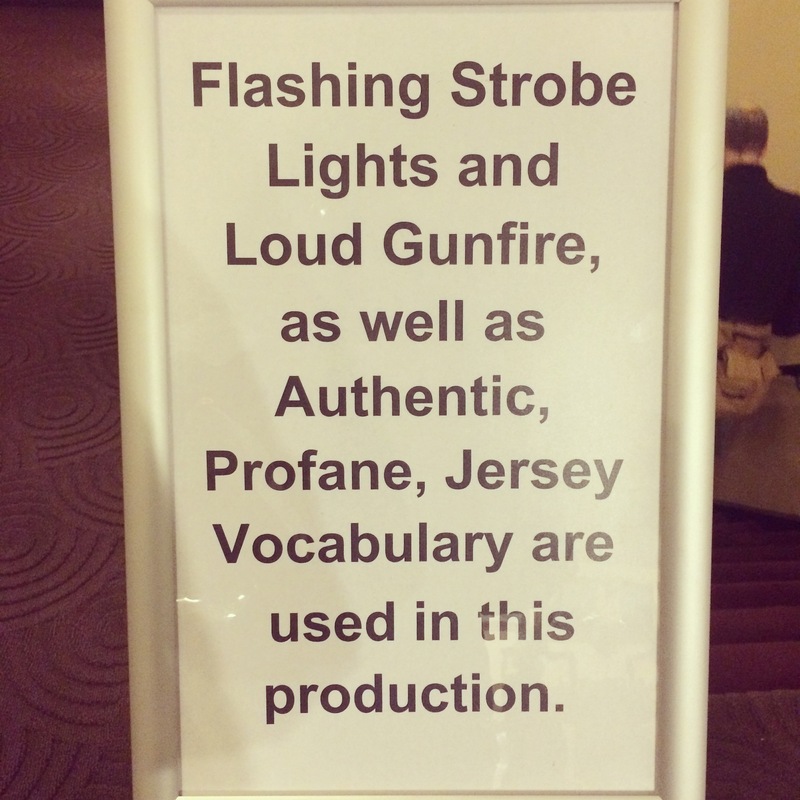 The signs warning of “authentic, profane, Jersey language” made me laugh. The show was great! This is going to sound naïve, but I had no idea it was actually about the Four Seasons (as opposed to an unrelated story that just happened to use their music, à la Mama Mia). Not only was the music amazing, but I loved learning about the group’s history. And the actor playing Frankie Valli totally nailed his voice. One snowy walk later, we landed ourselves at Osteria Marco for an early dinner. I adore Larimer Street during the holidays. I mean they have lights strung from one side of the street to the other year round, but it always looks prettier in December. Plus all the restaurants and shops looks extra glitzy. 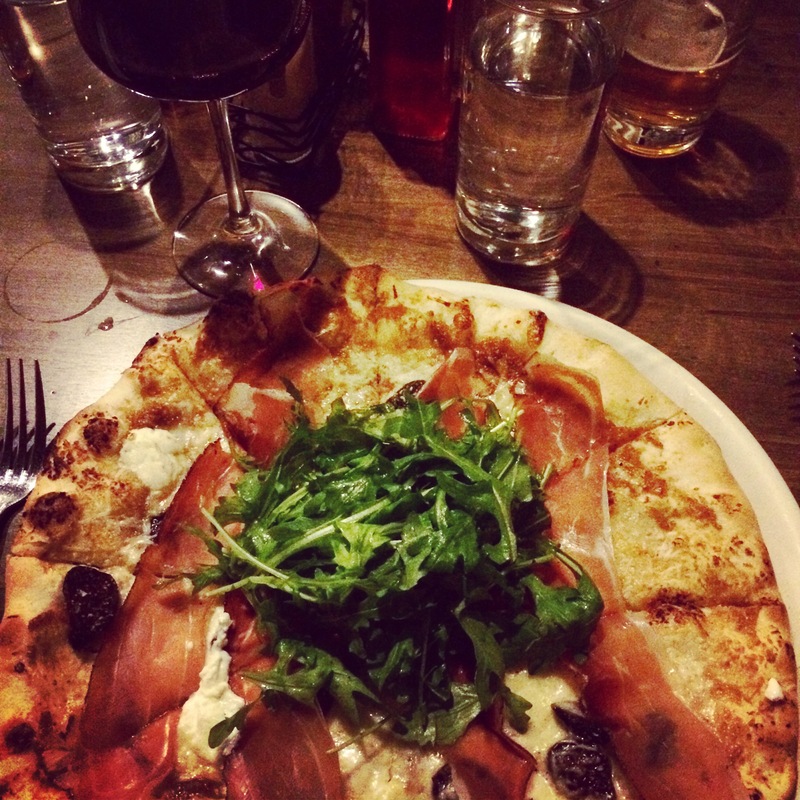 I’ve been wanting to try Osteria Marco for years and it lived up to my expectations. Everything I tried was exceptionally good. Or is that the bottle of wine I shared with Lori talking? Despite getting lots of sleep this weekend, I still needed coffee this morning. Monday, why are you always so rough?